Authorities of Hanoi and Ho Chi Minh City are speeding up plans to limit motorbikes entering inner-city areas and eventually phase motorbikes out in downtown areas to ease traffic jams. A representative from the centre for scientific research and training under the Hanoi Department of Transport revealed that the department would work out solutions this year to curb the number of motorcycles entering inner-city areas. Under the proposal, before terminating motorbike traffic altogether, the capital’s authorities will restrict the areas they are allowed to enter. Permitted areas will be required to have appropriate infrastructure and meet standards for public transportation services. The Transport Development and Strategy Institute under the Ministry of Transport also said that due to differences in the capabilities of the public transit system in various districts, the ministry will initially select areas to restrict and move towards an outright motorbike ban in Hanoi by 2030. The limitation on motorcycles is aimed at reducing traffic congestion, economic damage, travel times and costs for residents, and minimising environmental pollution. The move is expected to reduce the number of traffic accidents, contribute to the city’s sustainable development and improve residents’ quality of life. Meanwhile, HCM City is deploying a plan to enhance the transit system, assigning the HCM City Department of Transport to review traffic projects such as bridges, roads and ports. The city’s plan also includes zoning area restrictions for motorbike traffic, targeting a complete ban on motorcycles in central business districts 1, 3, 5 and 10 between 2025 and 2030. However, transport expert Nguyen Xuan Thuy said the plan to ban motorbikes from entering the downtown area was inappropriate as the country has some 45 million motorcycles and 4 million automobiles. Although there are more than 10 times as many motorbikes as cars, a motorbike occupies between one fifth and one tenth of the road surface area used by a car. As such, Thuy said motorbikes are not the main reason behind traffic congestions in major cities such as Hanoi and HCM City. 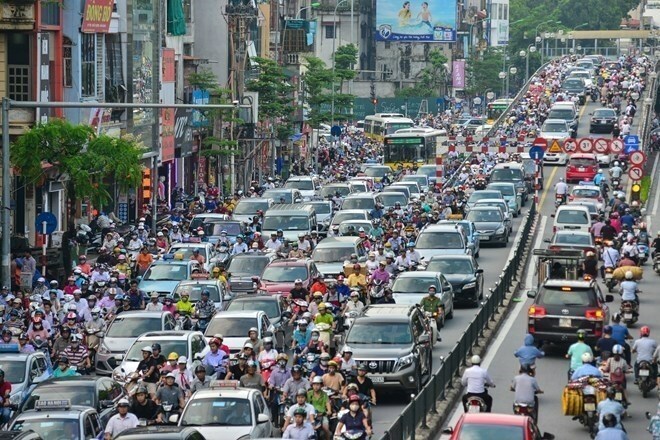 According to Thuy, automobiles are crowding the roads, therefore, motorbike traffic should not be stopped. In addition, one economic expert said the ban on motorbike traffic should be weighed carefully because no other form of transport can replace motorcycles, which are also considered the main means of transport in the country for business activities such as transporting goods.